Website is a very powerful online advertising tool which you can use to promote your business online. 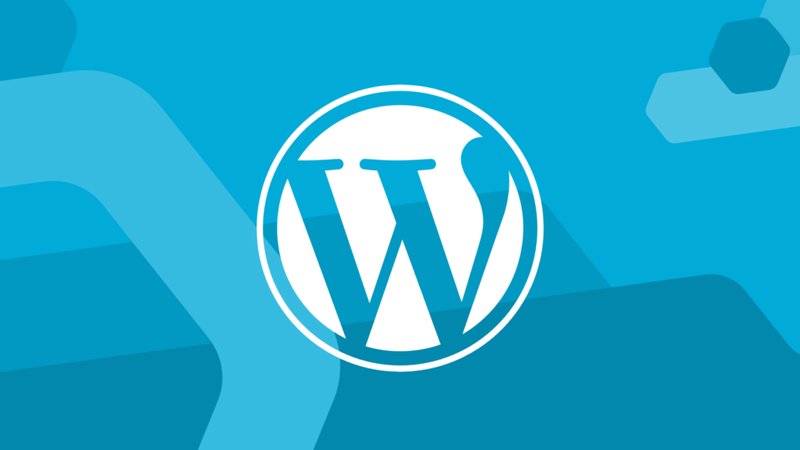 Making a professional corporate or business website hasn’t been simpler, thanks to WordPress. First you need to get hosting, you can read more about how to find perfect hosting company here. Also we recommend you to read a2 hosting reviews and siteground reviews here. Creating a business website for your business nowadays is not as distressing and expensive as it used to be years ago. WordPress provides business/corporate themes that will definitely go well for your business. Sold over 60,000 times, this theme comes with sharp elements, clean look and a user friendly environment. Enfold’s corporate look makes it quite stylish yet elegant. Whether you want to create a website for a well established business or for a startup, you should definitely consider Enfold.If you wish for a flexible, pretty theme, which offers great features and simple operation, then this is the perfect theme for you. This theme is both retina ready and responsive. Its suitable and responsive layout allows your website to be completely compatible with every mobile device. It is one of the best ever WordPress business theme, packed with more than 170 pre-built websites. Simply choose the right layout that best fits your industry and save yourself lots of time and money. BeTheme’s Drag and Drop builder tool and advanced option gives unlimited options. This theme was made in accordance with the newest responsive standards and it works flawlessly on nearly all devices. Even if you want the site to be translated in different languages, BeTheme can do that for you. The number of features is phenomenal and endless. uDesign is a user friendly and powerful WordPress business theme. Both novice and advanced programmers and developers can use this theme for their business websites. With this theme, you can create a website with minimal efforts and full confidence. This is such a powerful tool that you can transform your website within seconds using it and deliver your project on time. uDesign fits flawlessly on different resolutions and displays. It fully supports WooCommerce, the most famous online shopping solution. Total is a professional and clean theme for business websites. It comes with some premium plugins. You can use revolution slider, visual composer, layer slider and template manager for FREE. Total also has some pre-designed demos that you can install easily in your website and also edit as per your needs. It’ll save you lots of time. You’ll certainly enjoy working with Total theme as it is packed with every feature you might want in a powerfully responsive and beautiful WordPress business theme. It is a very flexible and powerful WordPress business theme featuring heavy duty framework which can scale for big websites requirements. Striking features real WP Multisite capabilities, features customization for the WooCommerce plugin’s integration and is WPML approved theme. Moreover, it’s the most customizable and features laden theme ever. Striking Multiflex includes a simple “One Touch” demo content installation unction with two different sets of content available for install along with a fully customizable Revolution Slider demo packages. You won’t find a more comprehensive administration interface, simple enough for beginners to grasp instantly. It’s a new age of WordPress Theme. Now you discover lots of awesome features within this theme. Its “Page Builder” feature allows you to make a page easily by the drag and drop module. To change the color element, it will not be a great deal, with the new admin panel as you can easily access almost all color elements. In this theme, admin panel is features rich. Moreover, you can produce unlimited sidebars, selecting more than 350 fonts or in case you wish to utilize your own, then there is a cufon uploader too. Modernize has nearly 15 predefined backgrounds pattern along with custom background uploader. DynamiX is a fast, dynamic and responsive WordPress theme for businesses. Whether you need a Business, eCommerce, WooCommerce multilingual shop, Corporate, Professional, BuddyPress, Blog, Clean, Fitness, Wedding, Restaurant or School website, DynamiX will fit in your needs. It is a real multi-purpose theme. Not just you can create any kind of page you want, you can even use it as a Forum, One Page Parallax, Shop, and Community too. This theme comes with a complete set of very powerful administration options to assist you make the ideal site. This is the most complete and flexible theme created ever. Its fully responsive and modern design fits best in the present web trends. Included demo content and skins make the theme ready to work within a few minutes only. You will never find a tool better than this to create exceptional business sites. 3Clicks is another business theme which is responsive, includes WooCommerce support, Page Builder and man customization options. It also offers support for the custom post types, is optimized for page speed and SEO and has powerful admin panel. Another top seller, Sterling is the perfect WordPress business theme.Sterling is built on a simple to use framework which offers many layout options and is fully responsive. It is also compatible with WooCommerce and WPML. Sterling also comes with Layer Slider plugins and 3D CU3ER, access to the support staff, full documentation, and training videos. Lots of shortcodes are also available that make website styling simpler. Whether you’re a WordPress professional or a beginner only, you will have no issues at all n working with the Sterling theme. It is the ideal theme for everybody in need of professional online presence. It is the newest and most ultimate multipurpose WordPress business/ corporate theme. TheFox is clean, super flexible, responsive, created with powerful admin panel and works with awesome Visual composer. With TheFox’s multiple styles, you can create any type of site, possibilities are endless. This theme is user friendly and super intuitive to utilize. TheFox includes designs that can be utilized for any kind of site: corporate, business, blog, product, portfolio, magazine, etc. TheFox includes a Visual composer, thus you will not need to code ever. It is a premium and responsive WordPress business theme with very powerful CMS tools. This theme can be used for business, corporate, services or product catalogue sites. The portfolio and product tools gives you great opportunities to utilize in different services as rent a car, tour itineraries, hotel room presentation or even real estate. You can re-brand a theme easily by using Styling and Typography options. By choosing one of the skin options, you can create a background you wish for. This theme is fully responsive, which means that it works and looks great with the mobile devices too. Awesomeness. Flexibility. Elegance. These words immediately come into the mind when describing this outstanding WordPress theme. This theme gets your website up and running quickly. With all the possible combinations of the layout options, you are sure to quickly end up with elegant, unique site that you will be proud of. The theme has all professional touches that you would need in WordPress theme along with all personal ones too. It is personal. It is professional, it is the best. The theme’s sytlesheets check each site visitor’s device pixels density ratio automatically and then cater all theme details created for their particular resolution. It’s the very first design driven WordPress Theme with incredible attention to details, great features, intuitive user experience along with everything else, required to create an outstanding business/ corporate website. You will be amazed with how fast you will get your next website up and running with Unicon. Unicon offers unlimited customization options, headers and layouts with simple to use Admin Panel. It is perfect mix of professional and beautiful design with bulletproof code base and lots of powerful features. This theme includes a Visual Composer Plugin, unlimited customizability, Premium Icons, WooCommerce design integration, top notch support and bbPress integration that make the theme stand out. With One click installer, video tutorials and extensive documentation you get the ideal starting point for the next project. It is a fully responsive, premium WordPress business theme with very powerful CMS tools. RT-Theme 18 can be utilized for corporate, business, service, portfolio or product catalog sites. The portfolio and product tools also offer you extensive opportunities to utilize in different services as rent a car, hotel presentations, real estate, tour itineraries and more. This RT-framework offers rock solid theme’s back-end with many useful options and tools. RT-theme 18 is designed to fit in all screens of every popular device like smartphones, tablets and regular computers. This WordPress theme is created for construction businesses. This theme is the most advanced theme till date. BuildPress is super easy to use and set up. This theme also lets you create a smart site, easily, therefore, you can emphasize on what is most important – your projects and clients. This theme has an incorporated Page Builder that does all heavy lifting on your behalf. With intuitive drag and drop interface, creating pages will become a pleasure. Change the feel and look of this theme with real-time preview WP customizer. A gorgeous site template or the car dealerships which does not only look beautiful, but also include complete simple-to-use functionality. Whether you’ve a fully functional, large dealership or small car dealership, you’re sure to get what you require in the Automotive WordPress business theme. The theme also includes well-designed inventory management system, which is a breeze to quickly setup and even customize for vehicle inventory. It includes a fully sortable, filterable and customizable inventory search along with Loan calculator and Inventory management system. Construction, a business WordPress theme is designed specifically for building, construction companies and those offering business services. This theme comes packed with drag & drop page builder too make sure that you can design your site easily as you like it. Its layout looks stunning at any size, whether it is laptop screen, Android Mobile, iPhone, iPad or tablet. In addition, Construction includes many customizable options that let you change the visual styles of any element without touching single code. It is a premium and responsive WordPress theme created for business websites. It features an extremely minimal and clean design which is ideal for displaying your work. It is simple to customize with great features such as Revolution Slider, amazing WordPress Customizer and unbranded OptionsTree panel. Centum offers elegant styling with modern touch. Packed with this theme is WooCommerce integration and slider Revolution plugin. This theme is perfect for those looking for a simpler business website. Centum also offers 8 different layouts to choose from for you. Nevada is a responsive and fully featured business WordPress theme. It has 3 different demo option, full width, boxed and WooCommerce Demo Store. It includes a great set off tools like drag & drop page creator, a slider manager which lets you handle effects and transitions and table manager which lets you create and tailor tables. The Nevada demo showcases nearly 15 different homepage layouts examples that can offer you a great idea about the theme capabilities. The page templates include team page, testimonials, client’s page and much more. It is a blend of powerful communication and crisp design. Unite takes organized and clean approaches to present content so that it is simpler to locate what you want. It’s a premium WordPress business theme with five pre-made skins including textured background theme and dark theme. This theme is simple to modify and ready to work. The included PSD files are customized to let fast skinning.